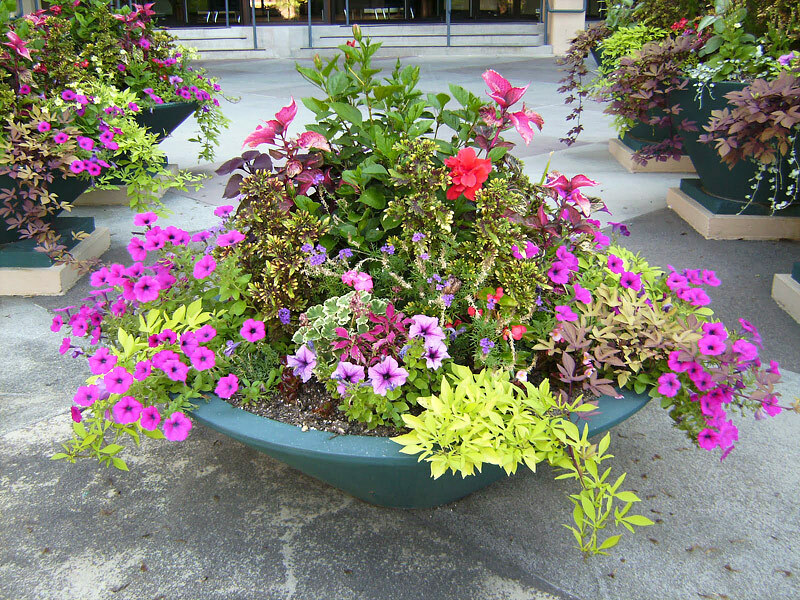 Planting in containers is a perfect option for those with limited space or time. Container garden is also ideal for apartments, rental houses, balconies and patios. Use your landscape space more efficiently. Containers can be spaced closer than plants in the ground, allowing you to create a lot of impact with less space and expense. Containers may be grouped for intensified fragrance. Have a portable garden. Use them indoors or out. Move them to the patio for your garden party. Move them for protection from extreme weather. Plants can also be rotated so you can showcase what’s in bloom. Rotate them to the background as blooms fade. 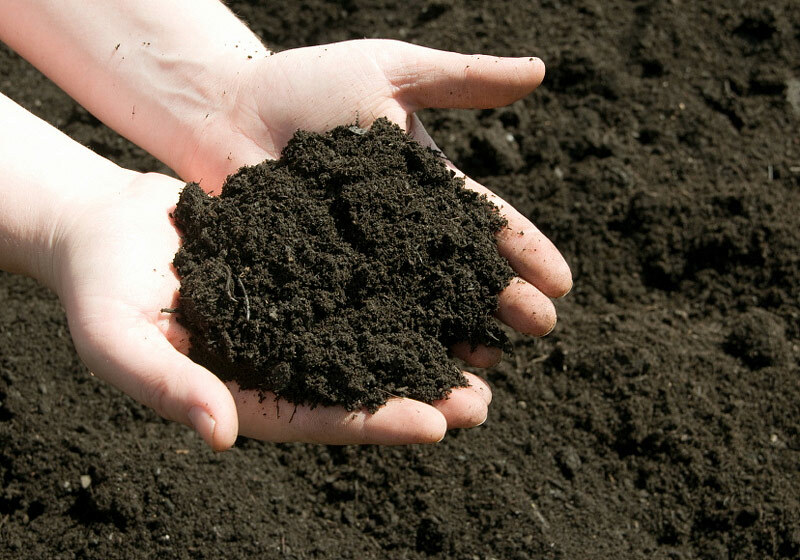 Control the soil quality. Your plants have quality soil to thrive in. Use containers in areas with poor soil or poor drainage. 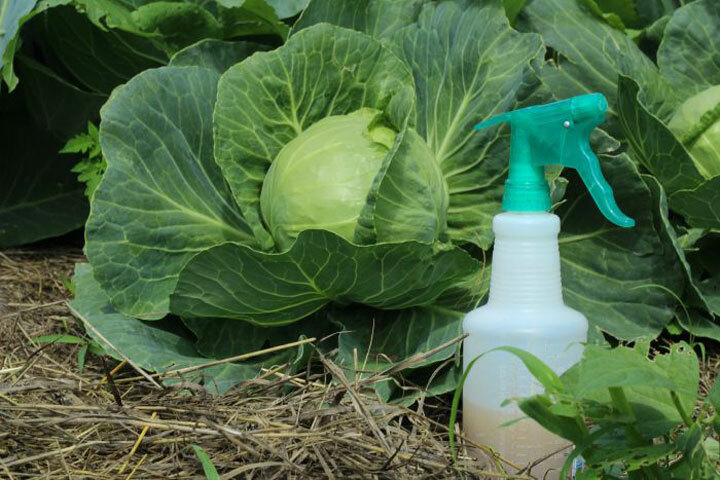 Eliminate competition from other plants and reduce accessibility to many pests. Increase access to the gardener. Containers can be worked in with less stooping and bending. Spray and fertilize more efficiently. Clay or terra cotta is porous and dries out more quickly than other materials. The porosity also helps prevent the soil from getting too saturated. 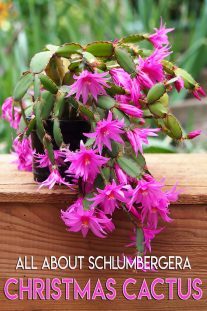 Plants in clay pots may need watering more frequently. 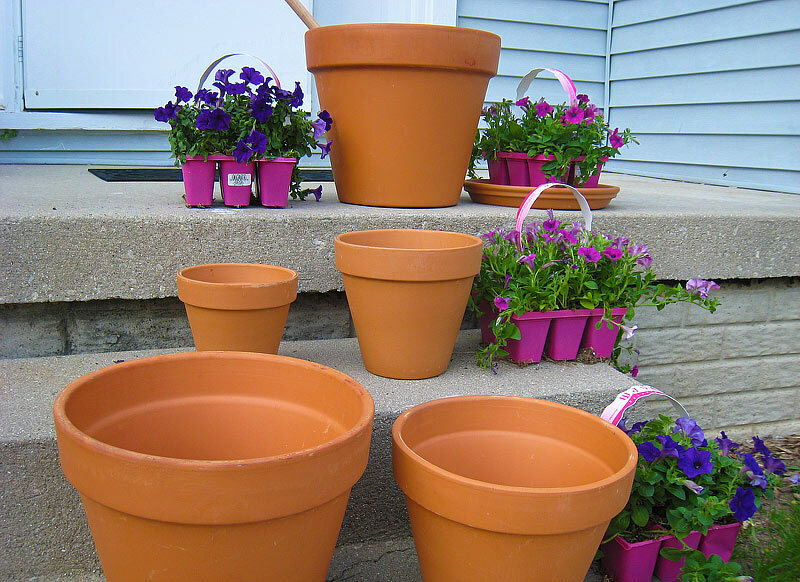 Clay pots can be waterproofed if you wish. Wood containers include window boxes, barrels, buckets or baskets. Moisture can be a problem. Seal the wood or simply put other containers inside of the wooden one. Plastic containers range from the nursery pots that you purchase plants in to highly decorative versions. Concrete planters offer a formal statement to the garden. 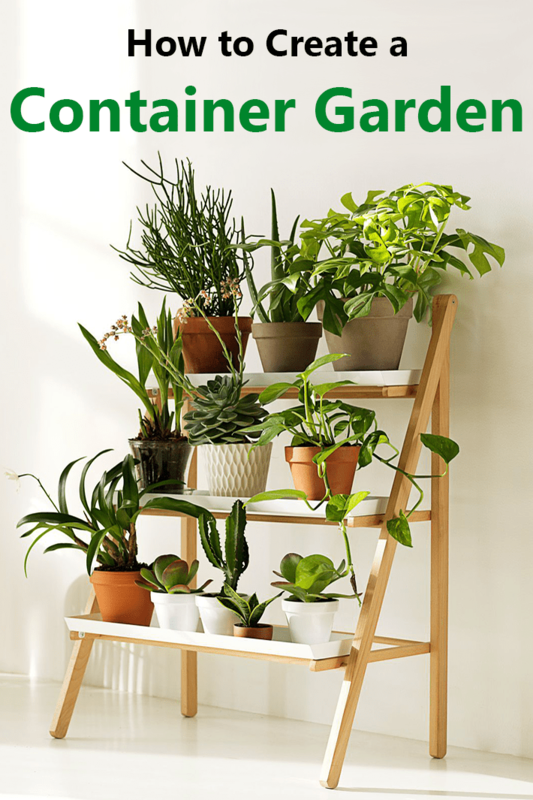 Ceramic and metal are primarily used for indoor houseplants. Both offer many decorative options. Hanging baskets can be made from many of the materials above, including wire. Hanging baskets tend to dry our very quickly, so keep an eye on them. Make sure they are hanging from a secure hook. Self-watering containers are designed to wick water and water-soluble fertilizer up from a reservoir built into the bottom of the container. Good drainage is essential. Check for the drainage hole(s) before you fill it up with soil. Make sure the drainage holes are unobstructed. Cover the drainage hole with a piece of window screen or a piece of a broken clay pot to allow excess water to drain without losing soil. You may want to add 1″ of gravel to the bottom of large containers to add stability. Any pot with a drainage hole in the bottom needs a saucer underneath. If you plan on keeping the container outside during the winter, buy concrete or tough plastic instead of terra-cotta. Terra-cotta will crumble with alternate freezing and thawing. 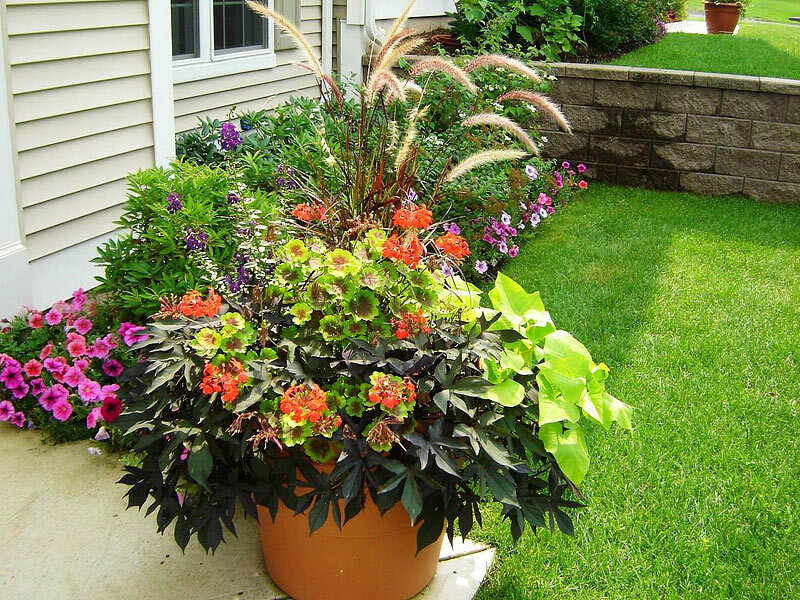 Choose containers that match the plant’s form and color. For outdoor use, look for planters to match your landscape. Dark colors will get hotter in summer (especially black plastic). Make sure the container is big enough to allow root growth. 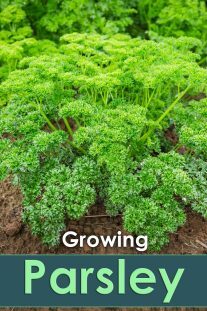 Check the plant tag to get an idea of the plant’s mature size before planting. If in doubt, get a larger pot. A pot should also be heavy enough to resist wind. 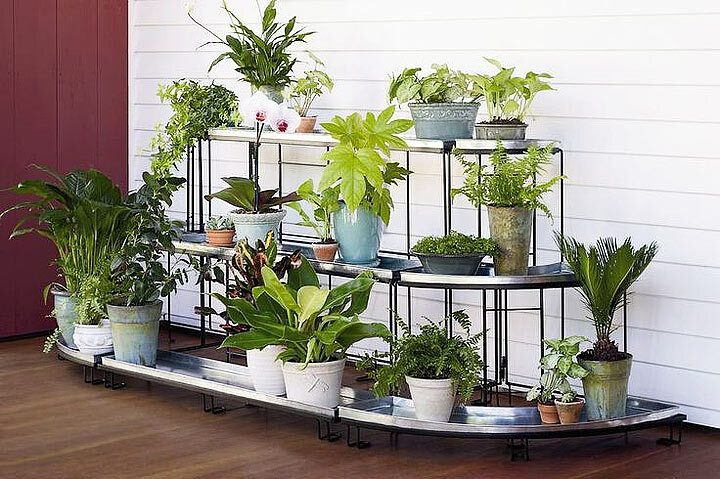 A stand with wheels is a good idea for larger pots. Give the plants a final watering. Wrap the container in an insulating material. Burlap, old blankets, even bubble wrap can work. Containers can also be insulated with mulch or leaves, anything to protect the plant and container itself from damage. Instead of the above, if you have space, move your whole container garden into a sheltered area such as a garage or basement.